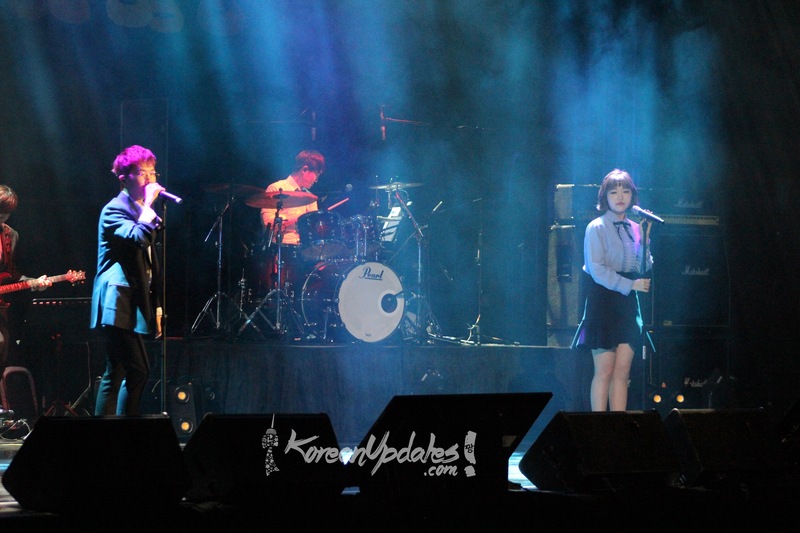 On 9 December, YG Entertainment’s sibling duo Akdong Musician, also known as AKMU, giving their fans to an unforgettable night at their first live showcase in Singapore – AKMU Studio in Singapore. Lee Chanhyuk and Lee Suhyun started off with How People Move and Every Little Thing from their latest album, SPRING. Consecutively , they sang Is It Ramen from their K-pop Star 2 days. The duo started to greet the fans in both Korean and English, also said that they are now mastering different languages for their showcase to communicate with the fans better . Being the first trip to Singapore, the siblings is excited to be able to perform in this here.They were happy when they landed as fans welcome them with fanboards. They asked the fans to look forward with their upcoming album. During the night AKMU performed the favourites, such as Don’t Cross Your Legs, Re-Bye, Melted, Officially Missing You and Crescendo. They covered AKMU renditions of Jason Mraz’s Lucky and Taeyang’s Eyes, Nose, Lips. They also greets the fans directly by walking around the theatre. It was an unforgettable night for their fans. See you again AKMU!